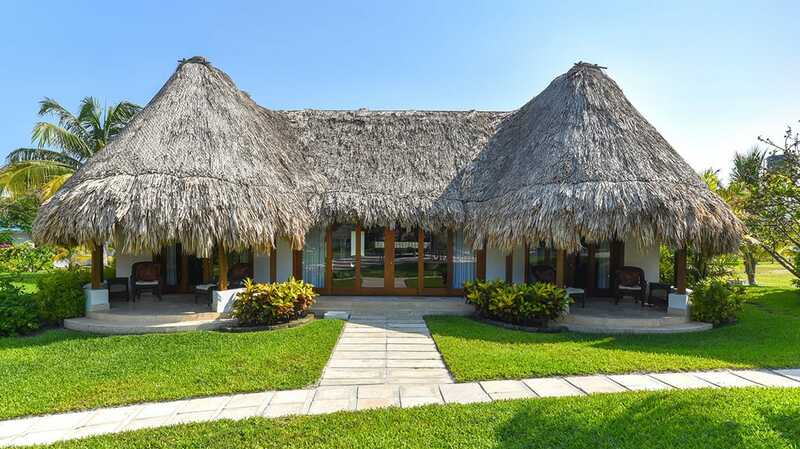 Victoria House offers three exquisite, two-bedroom 1,500 square foot Luxury Villas. 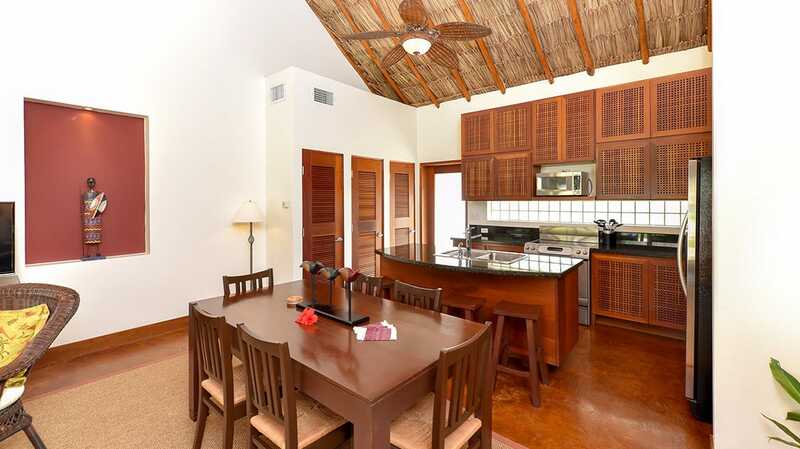 These single story thatched roof units all feature a spacious living room, dining area and full kitchen. 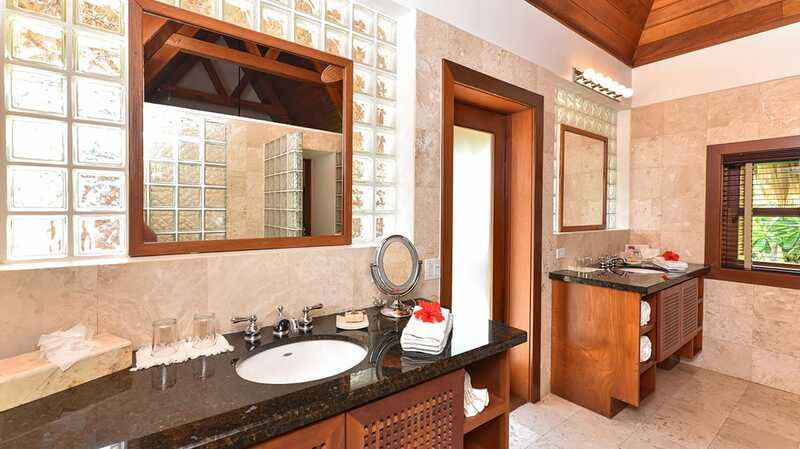 Two large master bedrooms, each with mahogany 4 poster king canopy beds, leading to travertine bathrooms with romantic indoor/outdoor private showers. 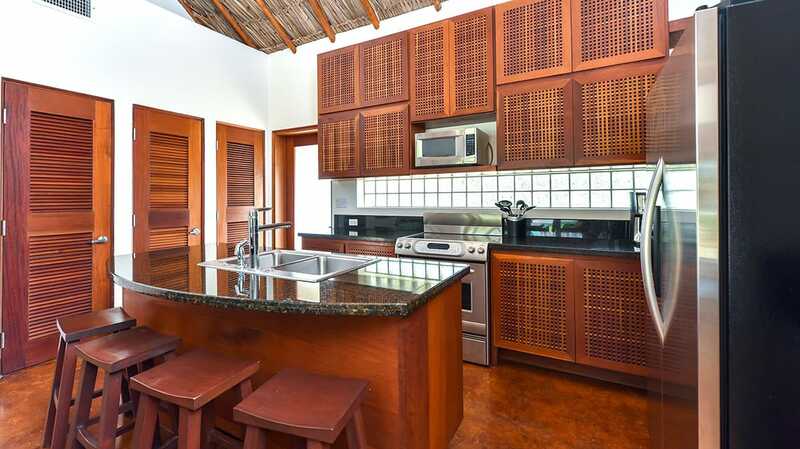 The Luxury Villas also have furnished private terraces overlooking the infinity edge pool. 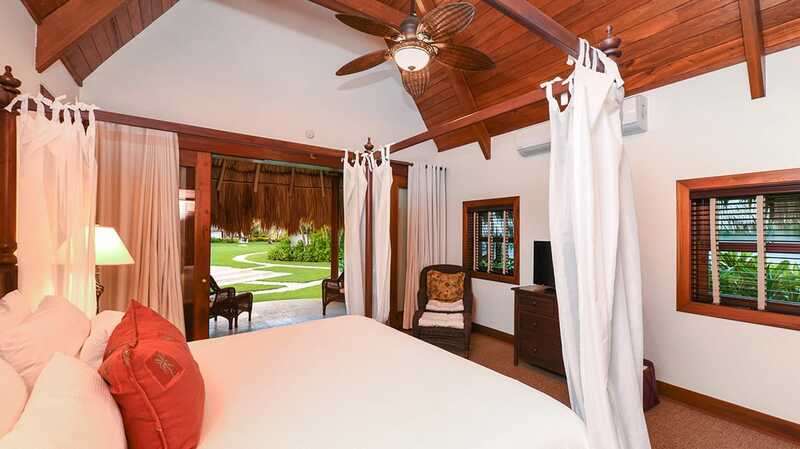 The bedrooms of the Luxury Villas can also be reserved individually 60 days prior to arrival. 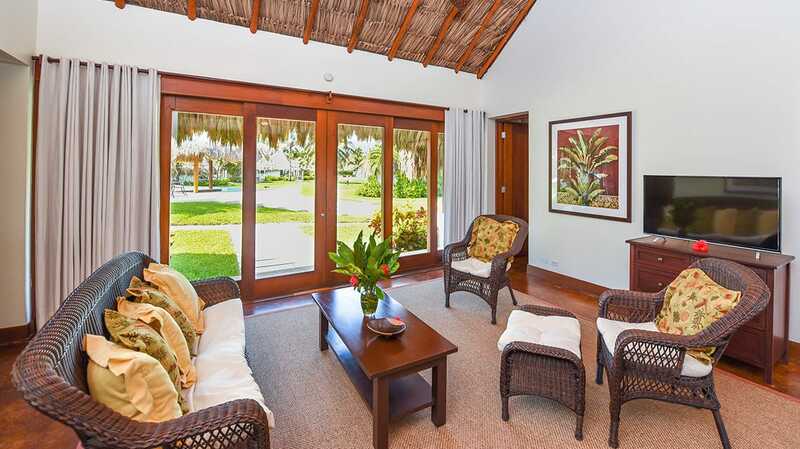 In this configuration, the living room and kitchen are locked off, providing guests with a stand-alone Villa Master Bedroom.These units are identical in layout and size and offer guests a private entrance and bathroom. Thatched roofs, four-poster beds, overlooking an infinity edged pool. Romance and privacy were never so perfectly matched.